Home » Uncategorized » Who Can Benefits From Structural Energetic Therapy? A question I get often is what is SET or Structural Energetic Therapy? And the first thing I need to says is that it’s not massage, physical therapy or chiropractic but rather its structural bodywork. I’ts a form of bodywork that follows a series of protocols to unwind and balance the entire body. It really is unlike anything else! So who can benefit from ‪#‎SET‬? Well, just about 95% of all people can. Did you know that several health concerns can improve by getting SET sessions? In fact, many people that have had chronic pain for years are much better after a few sessions. ‪#‎scoliosis‬, ‪#‎fibromyalgia‬, ‪#‎CFS‬ or chronic fatigue, ‪#‎MS‬, back pain, knee pain, neck pain. Panic attacks, anxiety attacks, ‪#‎sprains‬, carpal tunnel,‪#‎sciatica‬, plantar fasciitis, nerve entrapment, ‪#‎headaches‬, ‪#‎migraines‬ and much more. And from what walks of life has benefited from SET? 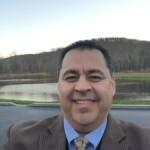 I personally have work on teachers, weekend warriors, cross-fit athletes, hockey players, snow boarders, skiers, runners, marathon runners, hockey players, triathlon athletes, collegiate baseball players, high school football players, boxers, wrestlers, managers, executives, business owners, sales people and many more. 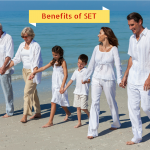 If you would like to learn more about SET or if it’s right for you, please call me at 201-602-7997. If you like this post on Who Can Benefits From Structural Energetic Therapy, please share and leave a comment.